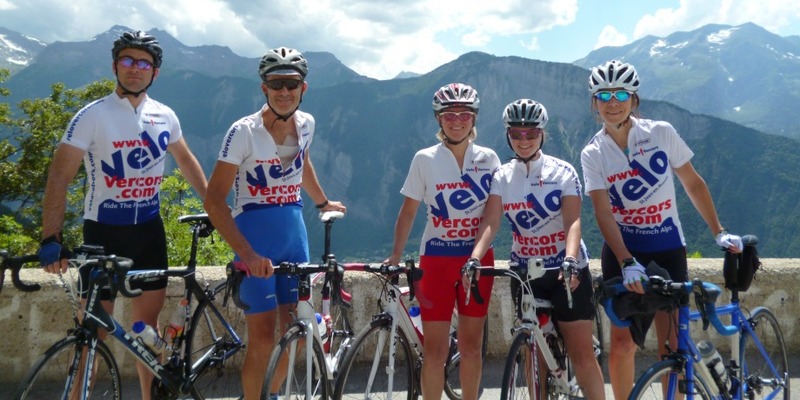 The Vercors is not only one of the most spectacular cycling regions but is also mid-way between 2 of the most iconic mountain climbs: Alp d'Huez and Mont Ventoux and we offer fully supported day trips to both. It is a 1 1/2 hour drive from our base to just outside Bourg d'oisans where we start the ride along the base of the valley for approx 10kms to warm up your legs before the start of the climb. You will be fully supported with vehicle back up, cheered on, photographed and greeted at the top with a well earned packed lunch. One of the most punishing Alpine Climbs this 'Beast of Provence' has 3 routes to the summit. South from Bédoin: 1617 m over 21,8 km. This is the most famous and difficult ascent. The road to the summit has an average gradient of 7.43%. Until Saint-Estève, the climb is easy: 3.9% over 5,8 km, but the 16 remaining kilometres have an average gradient of 8.9%. The last kilometres may have strong, violent winds. The ride takes 1h30m-2h30m for trained amateur riders. Professional riders take 1h-1h15 min. The fastest time so far recorded has been that of Iban Mayo in the individual climbing time trial of the 2004 Dauphiné Libéré: 55' 51". The time was measured from Bédoin for the first time in the 1958 Tour de France, in which Charly Gaul was the fastest at 1h 2' 9". Northwest from Malaucène: 1570 m over 21,5 km. 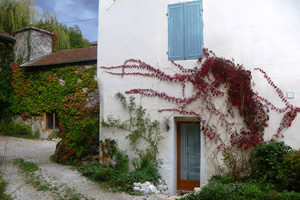 About equal in difficulty as the Bédoin ascent, better sheltered against the wind. The mountain achieved worldwide notoriety when it claimed the life of British cyclist Tom Simpson, who died here on July 13, 1967. 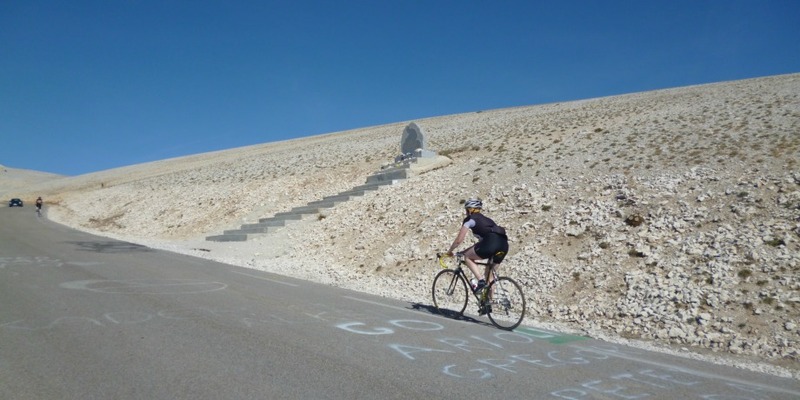 There is a memorial to Simpson near the summit which has become a shrine to fans of cycling, who often leave small tokens of remembrance there.